Don’t forget to check in at the registration table to be eligible for a host of amazing door prizes from our exhibitors and sponsors. 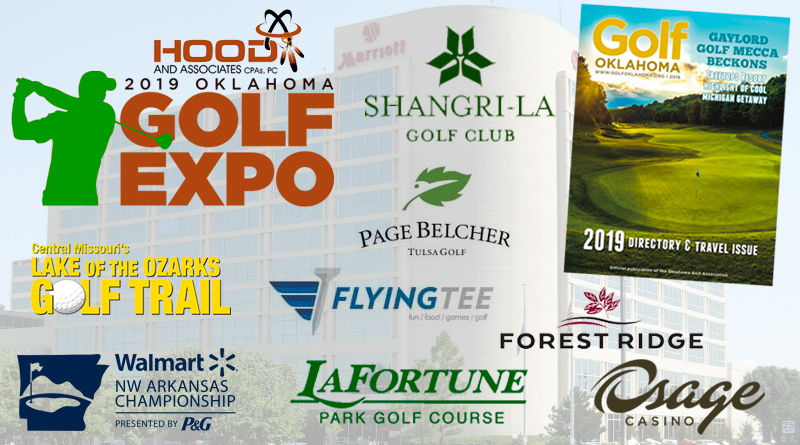 Right at the table you’ll be able to pick up a golf pass containing free rounds to all 13 of the incredible golf courses on the Lake of the Ozarks Golf Trail as well as a hot off the press 2019 Travel and Directory Issue of Golf Oklahoma. The door prize list is incredible and includes golf bags, iron sets, drivers, wedges, an overnight package at the Osage Casino Resort, weeklong passes to the 2021KitchenAid PGA Senior Championship at Southern Hills Country Club, the 2019 Charles Schwab Challenge event at Colonial and the Walmart Northwest Arkansas Classic. Also golf lessons from top PGA professionals, golf balls, hats, shirts, rounds at Shangri-La, Forest Ridge, LaFortune Park, Page Belcher, FlyingTee and other great gifts.